Absolute Temperature - Absolute zero is the lowest temperature that can be obtained in any macroscopic system. Absolute temperature means temperature measured on a scale with absolute zero as 0. This is conventionally measured in Kelvin. Absolute zero - At absolute zero, a hypothetical temperature, all molecular movement stops. All actual temperatures are above absolute zero. Absolute zero would occur at -273.16 degrees C, -459.69 degrees F, or 0 Kelvin. Absorption - The process whereby the incident particles or photons of radiation are reduced in a number or energy as they pass through matter, i.e. the energy of the radiation beam is attenuated. Air leakage - Unintentional air leaking into or out of a building through cracks and small openings. Anomaly - The deviation of the value of a parameter, such as temperature, from its average or normal value. Apparent temperature - The uncompensated reading from an IR camera where emissivity is set to 1.0 and distance is set to 0. Arc flash - A short circuit through the air. When insulation or isolation between electrified conductors is breached or can no longer withstand the applied voltage, an arc flash occurs. ASNT - The American Society for Nondestructive Testing (NDT). The organization of NDT professionals. Offers many services and products of interest to the NDT community. ASTM - American Society for Testing and Materials. An organization to establish test standards for materials, products, systems, and services for a wide range of materials. Atmospheric attenuation - A decrease in the intensity of infrared radiation due to absorption and scattering in the atmosphere. Auto Image Adjust - Automatic camera or software function that adjusts Level and Span based on image content. Black body - A theoretical object that radiates the maximum amount of energy at a given temperature, and absorbs all the energy incident upon it. BTU - British Thermal Unit. The amount of heat required to raise the temperature of 1 pound of water by 1 degree Fahrenheit. Calibration - The process whereby the magnitude of the output of an infrared camera is related to the magnitude of the input radiation from black body references. Calorie - The standard unit for energy measurement in nutrition. Equal to one kilo calorie or 1,000 calories. calorie - Energy unit; a single calorie is the amount of heat needed to increase the temperature of one gram of water by one degree Celsius. Celsius - A temperature scale in which zero degrees is the freezing point of water and 100 degrees is the boiling point. Certification - A process, by which an agency/organization validates, based upon predetermined standards, an individual Thermographer's qualifications and Knowledge for practice in a defined application. Color Palette - Scheme that assigns colors to various image gray levels. Condensation - The change of phase of a substance from a vapor to a liquid. This is the opposite of evaporation. The process of condensation releases energy; this energy is known as latent heat. Condition based maintenance - An equipment maintenance strategy based on measuring the condition of equipment in order to assess whether it will fail during some future period, and then taking appropriate action to avoid the consequences of that failure. Conduction - The transfer of heat energy through a substance or from one substance to another by direct contact of atoms or molecules. Convection - Transport of heat by the movement of a fluid. Diffuse reflection - The random reflection from a rough surface, which results in a fuzzy, scattered reflection. Electromagnetic spectrum - The ordered series of all known types of electromagnetic radiation, arranged by wavelength ranging from the short cosmic rays through gamma rays, X-rays, ultraviolet radiation, visible radiation, infrared radiation, microwaves, to the long wavelengths of radio energy. Emissivity - The ratio of energy emitted by an object to the energy emitted by a black body at the same temperature. Energy - The capacity for doing work. Forms of energy include thermal, mechanical, electrical, and chemical. Energy may be transformed from one form into another. Equilibrium - A system is in equilibrium when its temperature properties are uniform and not changing with time. Evaporation - The process whereby atoms or molecules in a liquid state (or solid state if the substance sublimes) gain sufficient energy to enter the gaseous state. This takes thermal energy and cools the surface where evaporation is occurring. Fahrenheit - Temperature scale based on 32F for the temperature at which water freezes and 212F for the temperature at which water boils (180 difference). Conversion to Fahrenheit from the Celsius temperature scale is by the following formula: F = 9/5C + 32, where C is the temperature in degrees Celsius. Focus - Maximum clarity or distinctness of an image rendered by an optical system; "in focus";"out of focus. Forced Convection - Convection aided by wind or mechanical means such as a pump or blower. FoRD - Focus, Range and Distance. Parameters that cannot be adjusted in IR software, hence must be correct before an image is saved, or the readings will be compromised. Germanium - A brittle, grayish-white metallic element having semiconductor properties. Commonly used to make infrared camera lenses. Heat - A form of energy that is transferred by a difference in temperature. Heat Capacity - The amount of heat required to raise the temperature of a specific quantity of a substance by one degree. Heat Transfer - The process of thermal energy flowing from a body of higher temperature to a body of lower temperature via conduction, convection, and/or radiation. HVAC - Heating, Ventilation and Air Conditioning. A system that provides heating, ventilating and/or cooling within or associated with a building. Incident radiation - The total radiation going to an object. Indirect Measurement - A situation where the source of heating is buried far away from the surface being viewed by the IR camera, resulting in a much lower temperature. Infrared - Infrared (IR) radiation is electromagnetic radiation of a wavelength that is longer than visible light, but is shorter than microwave radiation. the name means "below red" (from the Latin infra, "below") red being the color of visible light of the longest wavelength. Infrared radiation spans three orders of magnitude and has wavelengths between 0.7 µm and 1000 µm (1 mm). 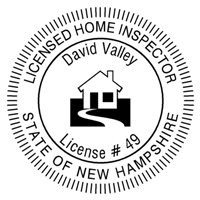 Inspection - The examination of the condition of a system by an expert. Insulation - Any material that offers resistance to heat transmission. When insulation is placed in walls, ceilings or floors it reduces the loss or gain of heat from outside sources. Isotherm - A measurement tool that highlights areas of equal apparent temperature. Joule - It's a metric unit of work or energy, equivalent to one watt second. Kelvin - It's a unit of temperature equal in size to the Celsius degree, but with the zero set by the absolute zero of temperature, -273.15 degrees Celsius. Ice will melt at 273.15 Kelvin, room temperature is about 293 degrees Kelvin, and water boils at 373.15 Kelvin, at sea level. Average human body temperature is 310 degrees Kelvin. Are you confused yet? Kirchhoff's Law - At equilibrium, the radiation emitted must equal the radiation absorbed. Level - Thermal "brightness" adjustment on an infrared camera. Load - The amount of electric power or energy delivered or required at any specified point or points on a system. LW - Infrared energy in the region from 8-13 µm. MW - Infrared energy in the region from 2-5 µm. Natural convection - Heat transfer between a surface and adjacent fluid (usually air) and by the flow of fluid from one place to another, induced by temperature differences rather than by mechanical means, also called free convection. Compare with forced convection. Newton's law of cooling - Newton's Law says that the time a substance takes to cool off depends on the temperature difference between the substance and the surroundings. NFPA - National Fire Protection Association. NFPA has developed a scale for rating the severity of fire, reactivity and health hazards of substances. Night Vision - Night vision is being able to see in the dark. Technological night vision works on one of two principles. The first is by detecting infrared radiation, which is a form of energy emitted by all objects regardless of the ambient light conditions. A device based on this principle is called an infrared camera. The second is by intensifying the small amount of light present (even at night) from the stars and the moon. NIR - Near Ir-electromagnetic radiation with wavelengths about 0.7 - 2 µm. Normal - Perpendicular or at right angle to a plane. PPE - (Personal Protective Equipment) Safety devices or safeguards worn by workers to protect against environmental hazards. PPE includes helmets, safety goggles, hearing protectors, face shields, respirators, arm guards, smocks, gloves, and safety boots. Qualification - Demonstrated skill, knowledge, documented training, and documented experience for thermography applications. Qualitative - Indicative only of relative magnitudes, rather than their numerical values. A qualitative comparison would say whether one thing is hotter, cooler, or the same temperature to another, without specifying the magnitude of any difference. As opposed to quantitative. Quantitative - A quantitative property can be meaningfully measured using numbers; properties which aren't quantitative properties include: the number of grains of sand on a beach, the temperature of a tire, and the time for a hammer to fall a certain distance. R-value - A measure of resistance to the flow of heat through a certain material. The greater the thermal insulating capability, the higher the R-value. Radiation - Energy transport (such as heat) through electromagnetic waves. Range - The lowest and highest temperatures that can be imaged and or measured with an IR camera's detector setting. Most cameras have several overlapping ranges. Rankine -Absolute temperature scale based on the Fahrenheit scale, but with zero R defined at absolute zero. 0 degrees F corresponds to 459.67 degrees Rankine. Re-certification - A review of all factors for continuing a Thermographer's certification for an additional 5 years. Reflected apparent temperature - The apparent temperature of objects whose radiant energy is reflected off the target into the IR camera. Reflectivity - The proportion of incident radiation reflected by a surface, expressed as a fraction or percentage. Refractory - A heat-resistant material (usually nonmetallic) which is used for furnace linings and such. Relative humidity - The ratio of water vapor contained in the air compared to the maximum amount of moisture that the air can hold at that particular temperature and pressure. Report - A written document describing the findings of your Infrared (thermal) imaging scan. See "sample"
Route - A path which is planned and followed regularly with equipment to be inspected along the way. Severity classification criteria - A means for ranking thermal anomalies for repair priority. Solar loading - Heat added to objects by the sun, that is not self-generated due to a problem. Span - Thermal "contrast" adjustment on an IR camera. Adjusting the span will change the temperature span between black and white on an image. Spatial resolution - The clarity of a single image or the measure of detail in an image. Specular reflection - A mirror-like reflection. Spot pyrometer - A pyrometer is a non-contact temperature measuring device. Spot size ratio - Ratio of the distance from an IR camera to an object compared to the size of the spot being measured (also called D:S ratio).